Netskope's new report also says Office 365 is unstoppable, but so is Shadow IT. 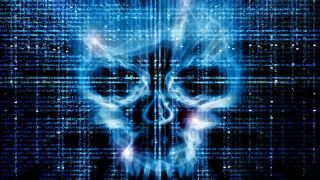 Businesses are still struggling to prevent network breaches and keep themselves safe from cyber-attacks. This is according to a new report from Netskope, the quarterly Cloud Report. According to the report, backdoors are taking up the majority of cloud malware detections this quarter, at 37.1 per cent. Truth be told though, it’s down from 43.2 per cent, where it stood last quarter. Shadow IT is also still considered a problem. The average number of cloud services in use per enterprise is now 1,071, up from 1,031 in the previous quarter. As expected, almost all of them (93.5 per cent) do not meet enterprise security standards. Microsoft’s Office 365 continues to ‘skyrocket to popularity’, Netskope says. More than half (56 per cent) of Office 365 usage is outside of OneDrive for business. This means that businesses that aren’t looking to control the entire suite ‘may be in trouble’. Cloud services are getting the hang of security, amping up their standards. Services that meet the majority of enterprise security standards are up 1.5 per cent, compared to an earlier quarter. “Webmail pulls ahead of cloud storage in DLP violations,” the report adds.